Our travisher blades are hand-forged by Ben Orford from O1 high carbon tool steel and are provided ready to use. 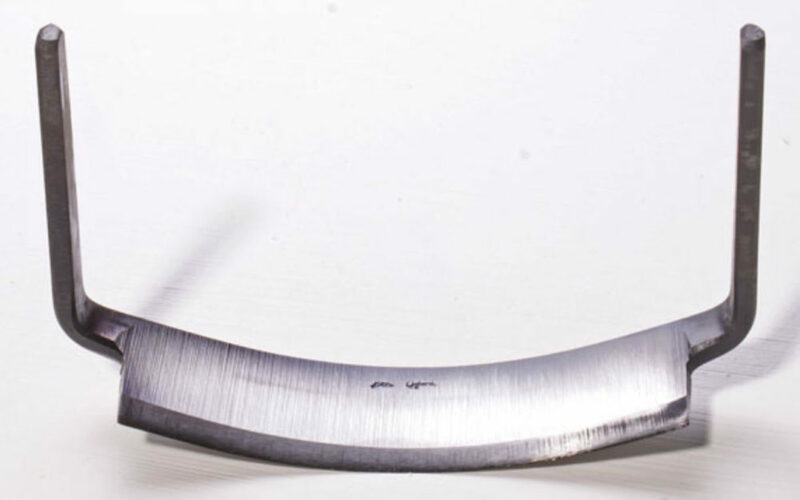 When sharpening a blade a grindstone should hardly ever be needed, unless the shape of the bevel has deteriorated disastrously, so concentrate on polishing the bevel and the back of the blade. It is easy to forget that a sharp edge is the intersection of two polished surfaces, so grinding is often not necessary. 1. This video clip shows how the blades can be sharpened with the simplest of equipment. 2. Alternatively, if you have the equipment, then spinning felt wheels loaded with abrasive ‘soap’ make the job very fast and efficient. 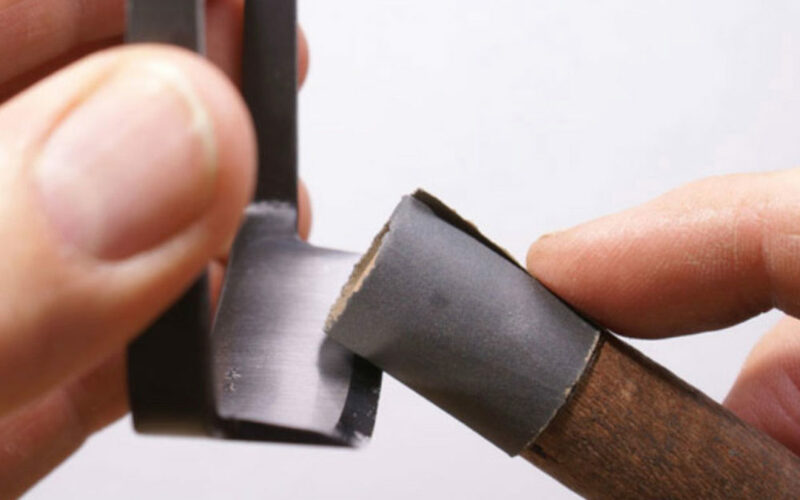 Regular re-sharpening should take no more than 30 seconds. Hold the bevel against the wheel (spinning AWAY from you) and move it from side to side until silvery liquid ‘soap’ appears in front of the edge. Then turn over the blade and run the back of it lengthways along the wheel. A couple of passes should be enough. Wipe off the liquid before it solidifies again, and it will be sharp. This system works for both straight and curved (travisher) blades. 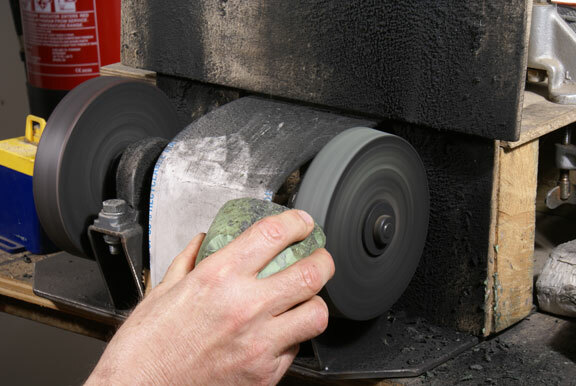 Softer felt wheels are better for the curved blades as they will deform somewhat to the curve allowing a larger area to be polished at any one time. It’s light, works fantastically well with fingertip control. You have to try one to experience the ease of changing from a fine cut to quick controlled stock removal. It’s not just the shape of the tool it’s the quality of the steel as well. Excellent!